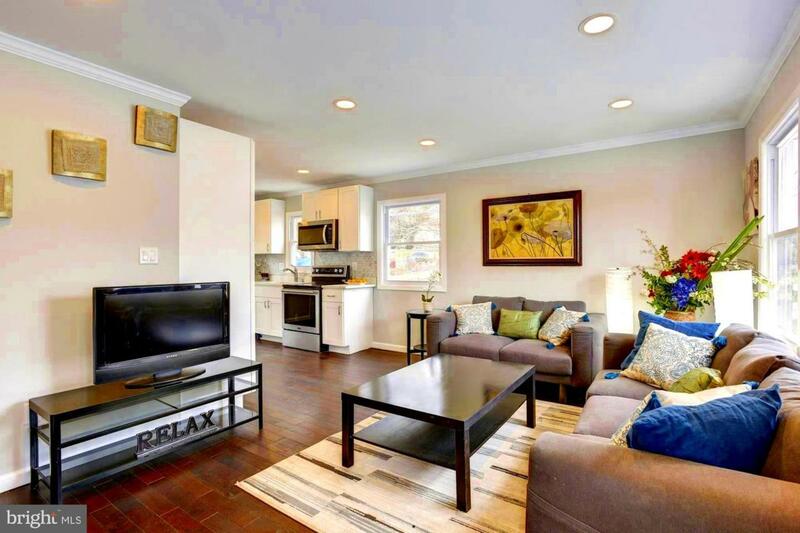 Fully renovated 100% permitted, total 1730 finished sf. Light filled home with brand new kitchen, Quartz countertop, Marble backsplash, soft close hardwood cabinets and SS appliances . Recessed lighting, Crystal chandeliers, Crown molding, Hardwood flooring. New HVAC System Heat-pump Goodman 3 TONS, New 50 gallon water heater. Large private backyard w/ 6' privacy fence surrounding the property. 16 x 12 patio for entertaining and 5 car off street parking. $5000 seller closing cost help included.